When it comes to dog teeth, you might have a couple of questions. 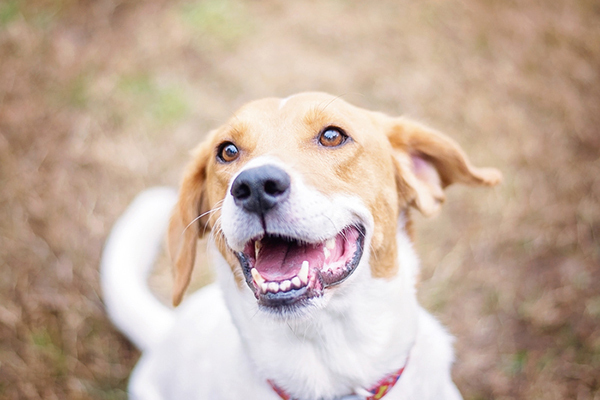 Some of the most popular inquiries about dog teeth include — How many teeth do dogs have? How do you brush a dog’s teeth? And what else can you do to ensure your dog’s teeth are healthy? Let’s answer those questions and talk more about dog teeth and dog dental care in honor of National Pet Dental Health Month. How many teeth do dogs have? Photography © vadimguzhva | Thinkstock. Like humans, dogs have baby teeth as puppies. Due to their rapid development and maturity, they lose those baby teeth and have a full set of adult teeth by the time they’re six months old. Baby teeth are also called deciduous teeth. Like deciduous trees, which shed their leaves, the 28 teeth that puppies have and lose over the course of their first half-year are only temporary. The 42 that come in and replace them tend to last longer than human teeth because the shape of canine teeth and the tendency of dog food to be low in sugar, which means that cavities are a rare occurrence in dogs. However, plaque and bacteria buildup can be just as devastating for dogs over the course of their lives. However, the 42 teeth that dogs have will be dependable for life with simple care and maintenance. Each February, veterinarians and dog health advocates everywhere promote National Pet Dental Health Month, but dental health for your dog should be a year-round concern. Dental disease in dogs is far too prevalent a cause of pain and suffering that can and should be avoided. Knowing the basics of dental care for dogs and dog teeth extends beyond knowing how many teeth dogs have. 2. How do you brush a dog’s teeth? How do you brush a dog’s teeth? Photography ©JimVallee | Thinkstock. We all know that dogs can be hesitant to submit themselves for regular baths, much less tolerate regular dental care. Veterinarians — like human dentists, of course — recommend daily brushing, which may prove impractical. Home care for canine teeth, though, is essential, and you should try to brush them at least once a week, or, at the very least, once a month. The earlier you start a dog on a regular dental care regimen, the more likely they will tolerate it. The first step is acquiring, or making, the right toothpaste. You should never use your own toothpaste on a dog — there are canine-specific toothpastes available at pet stores, or you can fashion your own from baking soda and warm water. The same goes for toothbrushes. If you cannot get a toothbrush designed for dogs, a child’s toothbrush, smaller with soft bristles, will serve. Alternately, wrapping gauze around your forefinger and using that to massage the paste into your dog’s teeth and gums may prove more salutary to a dog unaccustomed to having a completely foreign object pushed around in his mouth. There are also special toothbrushes that fit over your finger, allowing you to pet and soothe a dog while you maintain secure control of the brush. Since dental care for dogs is unusual or uncomfortable for them, acclimate them to the taste of toothpaste over the course of several days to a week, and to having their heads held as you examine their teeth and gums. A circular motion is recommended, along with brushing at roughly a 45-degree angle. The more quickly you can get through brushing your dog’s teeth, the less time your dog needs to be uncomfortable. 3. What else can you do to ensure your dog’s teeth stay healthy? 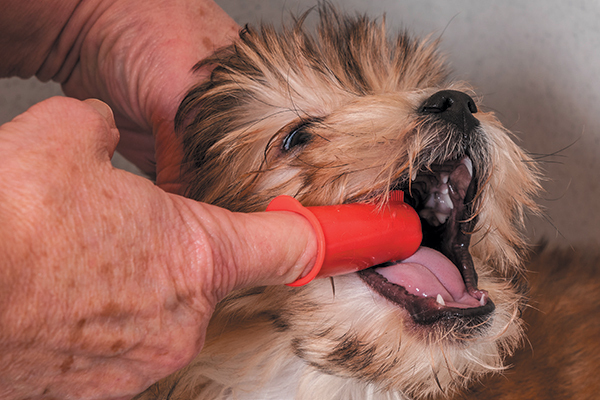 Oral care for dogs goes beyond brushing their teeth. A dog’s gums should appear pink and their teeth white; red, inflamed gums may indicate gingivitis, and yellowing or browning at the tops of canine teeth are the signs of plaque and bacterial buildup. Is your dog resistant to brushing? 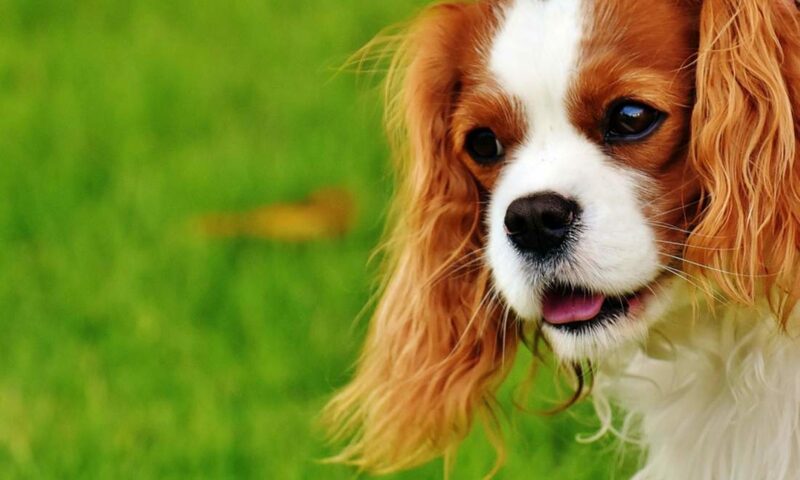 There are other options to make sure that the 42 teeth your dog has, the gums that cradle them, and the breath that emerges from his mouth stay fresh and clean, including chew toys and specially formulated foods. Chew toys may seem to provide an innocuous way to keep your dog entertained, but they also serve important purposes for dogs who don’t have patience for dental care that isn’t administered under anesthesia by a vet. Look for chew toys that are safe and recommended for your dog based on age, size, and breed. Nylon, rawhide, and rubber toys are most frequently cited for the benefits they provide at keeping a dog busy, helping to remove buildup, and working the gums. Additionally, there are dog treats readily available with ingredients that support dental health. Varying your dog’s diet to include hard kibbles that include dental supplements can be of great value to dogs that resist traditional brushing of all 42 of their adult dog teeth. Share your experiences with dog teeth! 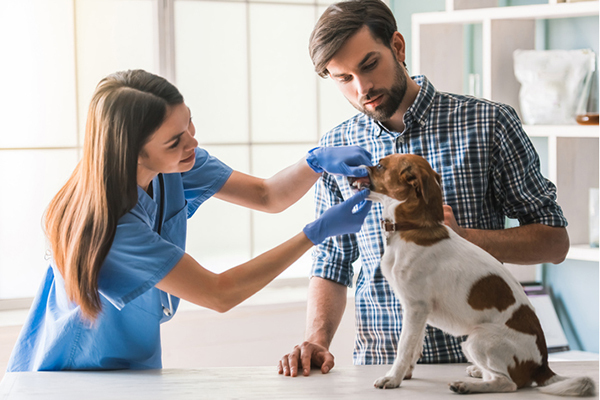 Every visit to the veterinarian should include a basic dental checkup, and that checkup should be scheduled at least once a year, particularly at and after age three. More than two-thirds of dogs develop preliminary symptoms of gum or dental disease by the age of three, making regular maintenance essential to your dog’s overall health. How do you and your dogs deal with dental health care? Do you have difficulty with brushing, but better luck with other methods? Share your tips and experiences in the comments! Thumbnail: Photography ©DemureDragonfly | Thinkstock. The post How Many Teeth Do Dogs Have? The Answer to That and Other Questions About Dog Teeth appeared first on Dogster.